All T-Shirts in this group feature the option to have the main design artwork printed on the front or back side of the shirt. When the artwork is printed on the back side, the front features the traditional Ironville chest logo. 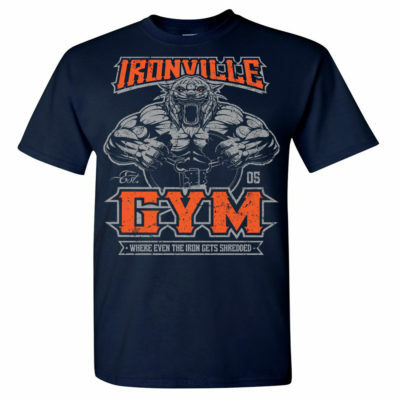 When the artwork is printed on the front side, the back features a smaller Ironville logo raised up near the neck.